Home > WE Can Make the Extraordinary Happen Here at CF. 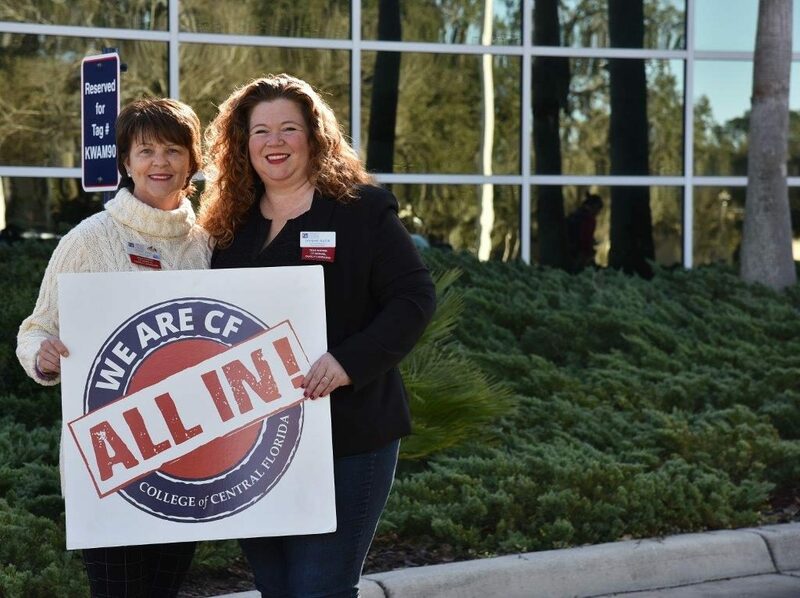 Thank you to those of you who have already given to the 2019 CF Family Campaign. To date, we have 70 percent employee participation in the campaign and 29 departments have joined the 100 percent scroll! There is still time for you to give. Every gift, no matter the size, is important and goes a long way in helping us reach our goal of 100 percent employee participation. More importantly, your support helps our Reaching Higher Campaign priorities: Scholarships, Health Sciences, Equine/Agribusiness and the Appleton Museum and so much more. The CF family has a strong history of giving back and your continued support means so much. The campaign ends Friday, Feb. 15. If you have not made a gift this year, please consider doing so. Click here to give online.